Betat is a UK licensed online casino that offers hundreds of games that include video slots, Roulette, Blackjack and Video Poker. Betat also offers a number of live table games. Owned and operated by Max Ent Limited, Betat Casino has received a number of accolades including a “1st in Best Customer Service” from the 2015 Casinomesiter Awards and Certificate of Trust from AskGamblers and Online Casino Reports. Additionally, Betat has received a calmative rating of 4.6 out of scale of 5.0 from over 234 player reviews. In our review, we will look at several factors including sign-up bonuses, promotions, virtual games, and live games. At the end of the review, we will provide an overall summary of the online casino. 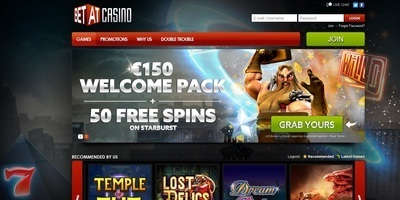 Betat offers a sign-on bonus that includes up to 150£ and 50 free spins on their Starburst game. In order to qualify for this bonus you will need to make an initial deposit and play 20X that deposit. After you have met this criteria, Betat will match your initial deposit up to 150£. For instance, let’s say you make an initial deposit of 50£. You will have to make 1000£ worth of wagers before you receive your 50£ bonus. This sign-on bonus may change at the time of publication so it is a good idea to review the sign-up bonus for yourself on the Betat site. Betat offers a number of monthly promotions. For instance, during the month of November 2018, Betat had a promotion on their Double Trouble game. 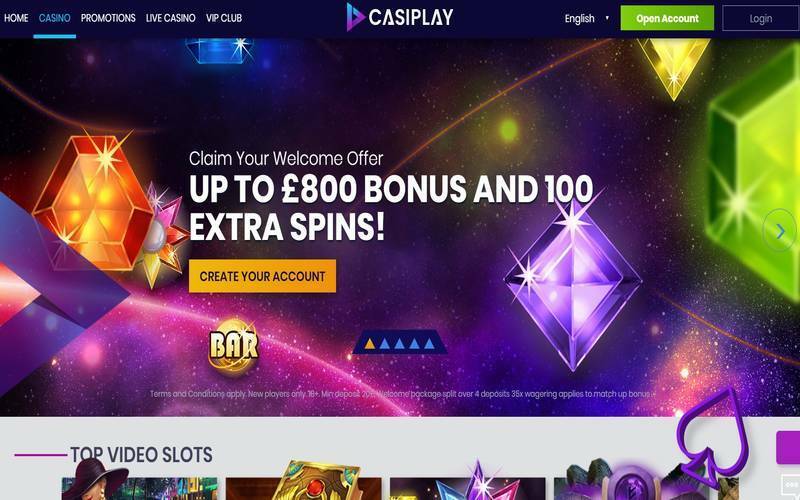 Every time you played 25£ on the game, you would earn a free spin. For every 100£ you wager on the Double Trouble game, you would earn a raffle entry. The winning raffle prizes included 500 free spins for first place and 50 free spins for 10th place. Check the Betat site monthly to see which new promotions are available. Betat has one of the most comprehensive selection of video wagering games available. As of this review, they have over 50 virtual games including Dragon Maiden, Lucha Legends, Would Bazaar, Wicked Tales: Dark Red and Romanov Riches. In addition to these games, Betat also provides video blackjack, roulette and video poker. Fans of blackjack will not be disappointed with the amount of different “21” games available. There is conventional blackjack as well as single deck and low limit blackjack. Roulette fans will be happy to know that there are over a dozen variations of the game including American (double zero) and European (single zero) roulette tables. Video Poker players will enjoy the selection of various games including Jacks or Better, Deuces Wild and Jackpot Poker. Those who enjoy live gaming will be glad to know that Betat offers various versions of roulette and blackjack. To keep the action brisk, the casino offers auto roulette tables. Also, there are some low roller blackjack and roulette tables always open for action. Overall, Betat is a professionally run and well regarded casino site with a number of games available. The sign-up bonus and promotions are in-line with the industry norm. The only downside to this casino is that there are no sports book or race book available. Otherwise, Betat is a highly recommended online casino. Microgaming, Leander Games, Nextgen Gaming, Netent, Evolution Gaming, Genesis, Leap, 1x2 Gaming, Chance, ELK Studios Iron Dog, Big Time G.